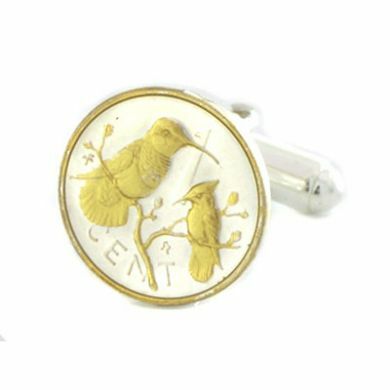 These Swiss Franc cuff links featuring the iconic cross are hand painted to prefection. The artist applies color initially to outline the design, followed by a high tempered firing process. The firing process is repeated after each color is applied. The hand-painting process for each piece varies, some taking as long as two days to complete. In the final stage, in order to protect the delicate hand painting, the artist applies and bakes-on a covering of space age resin, which also adds depth and luster to the item while providing a lifetime of protection to the piece. 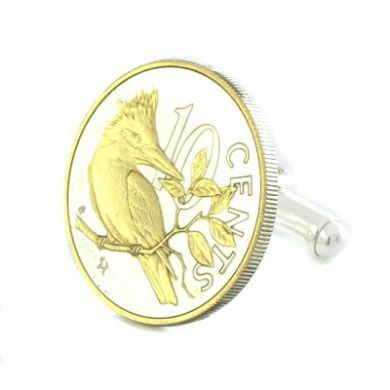 Because all of the enamels are mixed by hand at the moment of application, no two pieces are ever exactly identical, making each item truly an original. 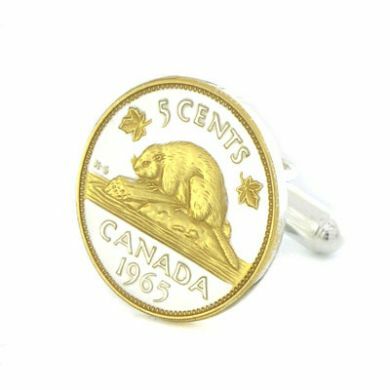 The hand-painted coin is a gift or keepsake to be treasured forever. 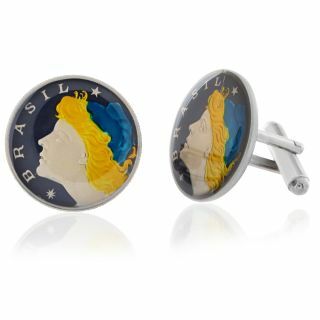 Brazil Coin Cufflinks $130.00 Even a mundane day at the office can be infused with the spirit of Rio de Janeiro when you wear these gorgeous Brazil Coin cufflinks! 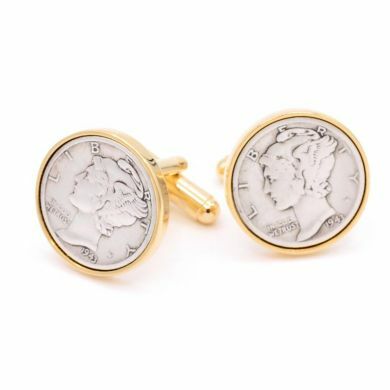 Created with flawless attention to detail and offset with bold splashes of color, our cuff links are a treat for both the wrists and the eyes. 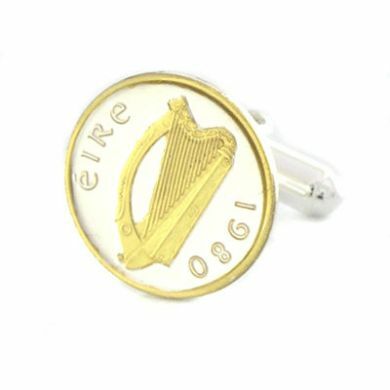 A perfect gift for any fan of this beautiful country. 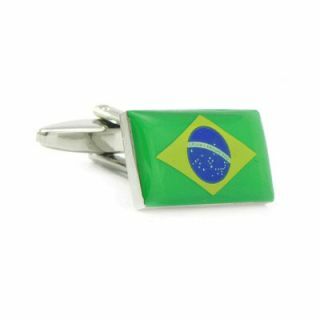 Their only drawback may be your inability to resist breaking out into a samba when wearing them! 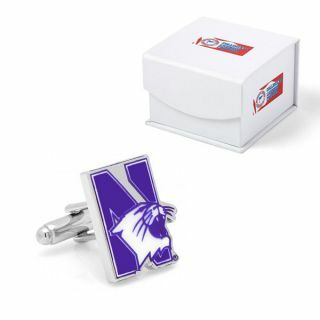 Northwestern University Wildcats Cufflinks $65.00 Win the Big 10 with these Northwestern Wildcats cufflinks! 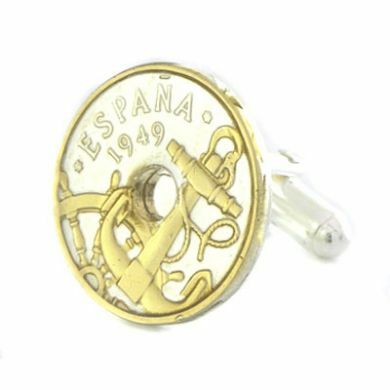 These cufflinks features the Northwestern logo that is crafted out of the finest materials. 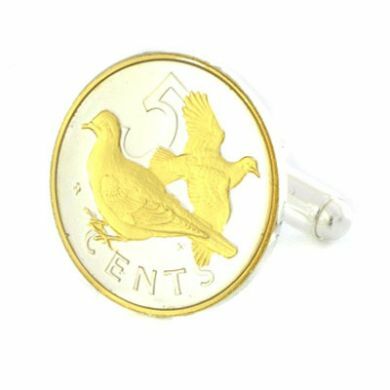 Each cufflink features a nickel plated finish that is sure to draw attention. 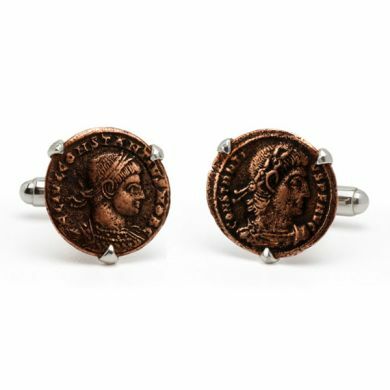 These cufflinks are the perfect gift for any Northwestern alumni.